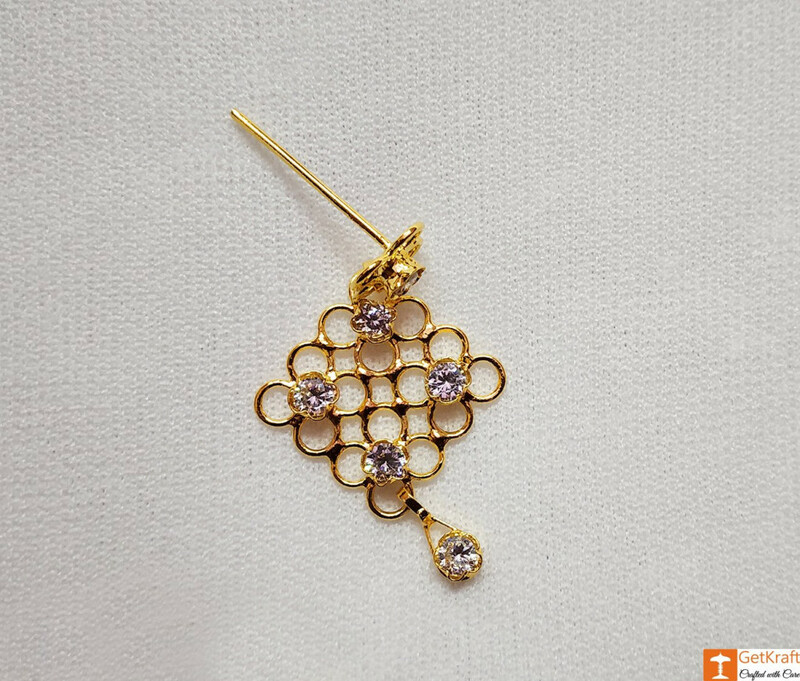 Mesmerizing Designer Jewellery Set designs, Beautiful and Elegant work of Ornament Handicrafts to Amp Up your Gold and Diamond Jewellery Collections, the Best-Selling Products. The Jewellery is crafted by experienced craftsmen. 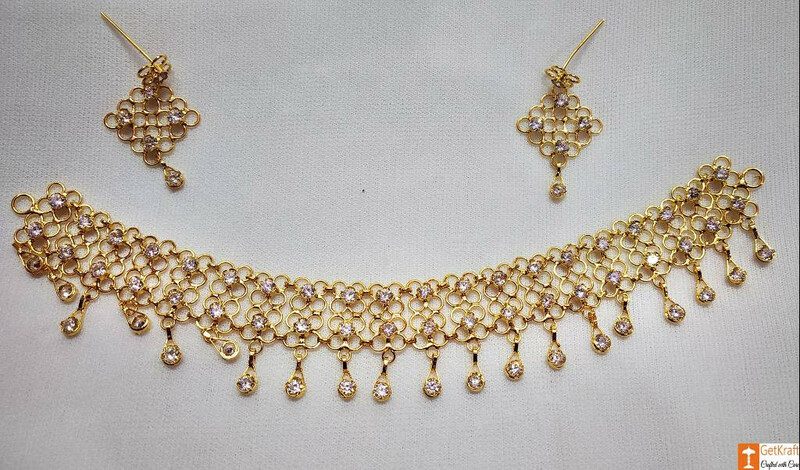 This Beautiful Gold jewellery Set is Gold polished above an initial layer of Silver. It is Affordable with Low Maintenance. Ideally suits almost all ethnic Indian Saree attire. Perfect for Parties, Festivals/Ethnic Cultural Events where Women can Dress up and look their Best.